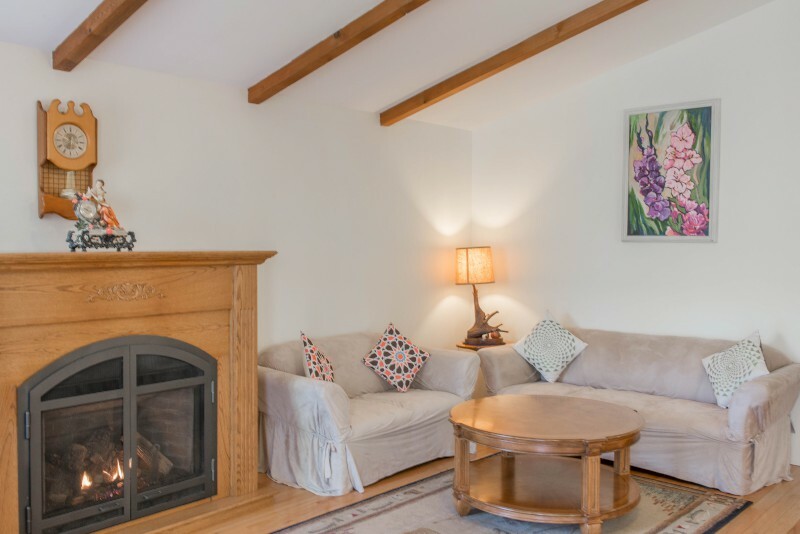 We are always looking for the ‘perfect’ spot, with a cottage that has it all, in a stunning location, and not too far from cool places to visit. 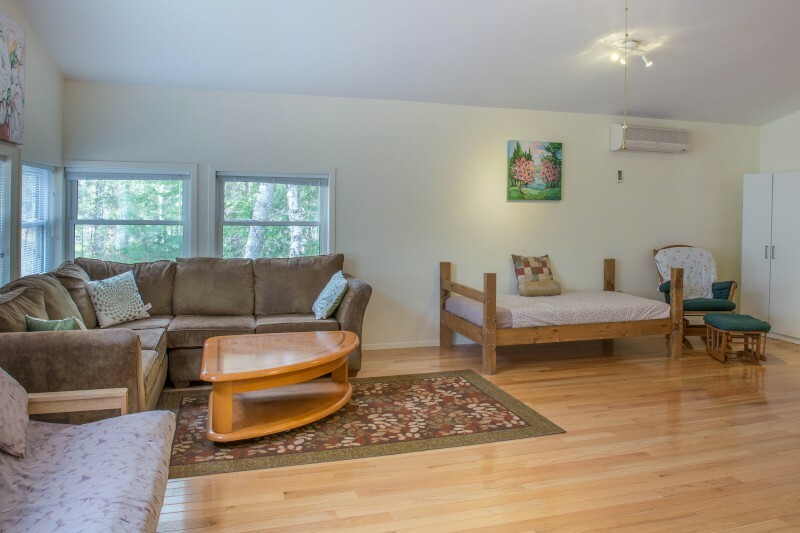 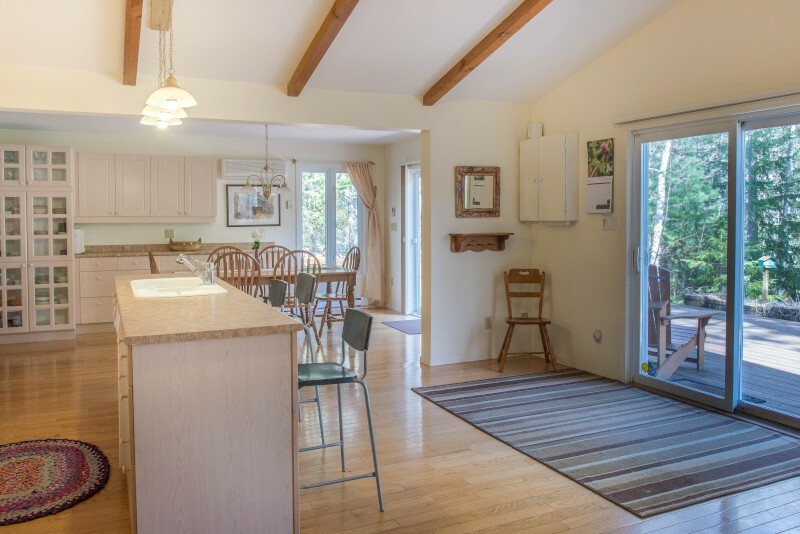 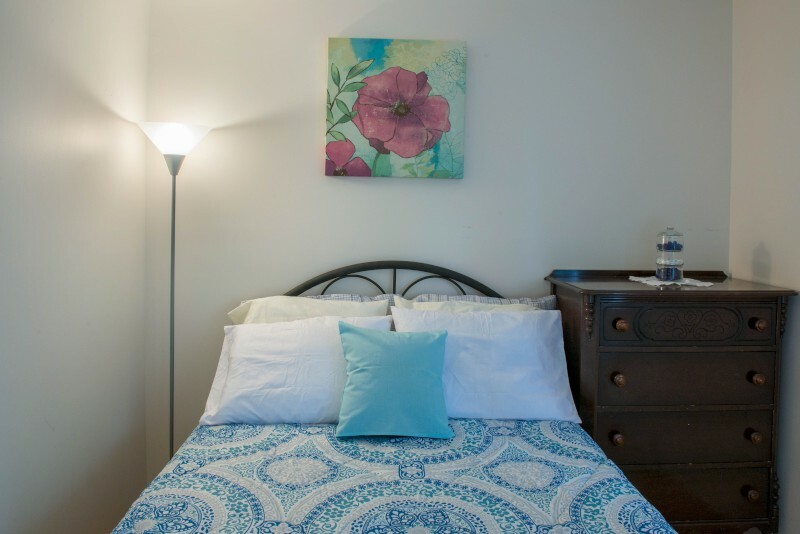 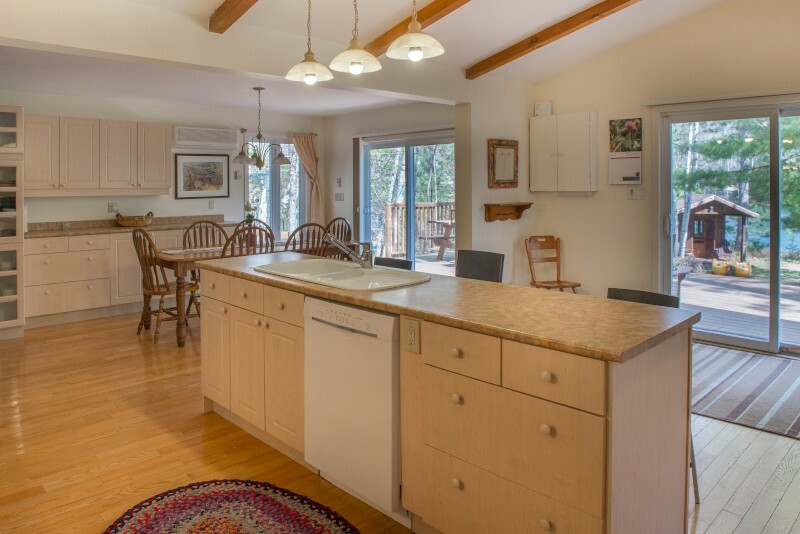 So when we came across Breezy Pines which is walking distance from a Provincial Park, a 20-minute drive from mighty Alongquin, and has all the features that families love in a cottage, we knew this was a winner. 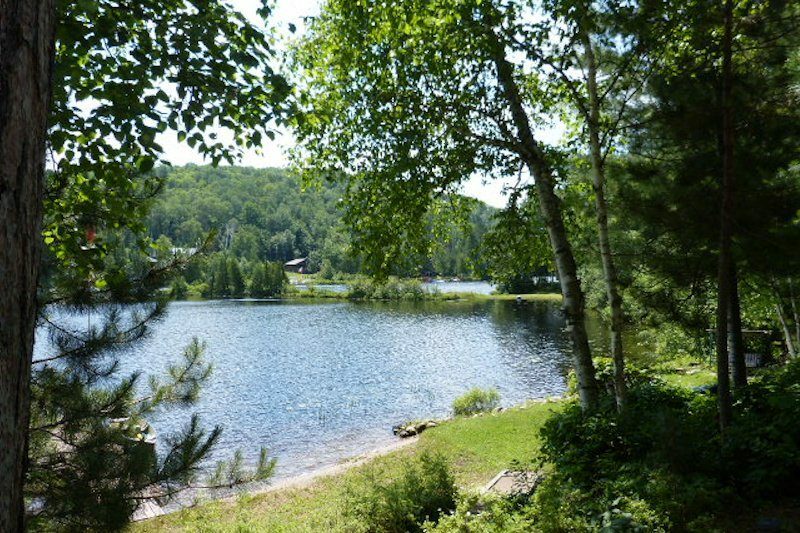 Pretty Lake St Peter is just to the north west of Bancroft and is a tranquil and peaceful spot. 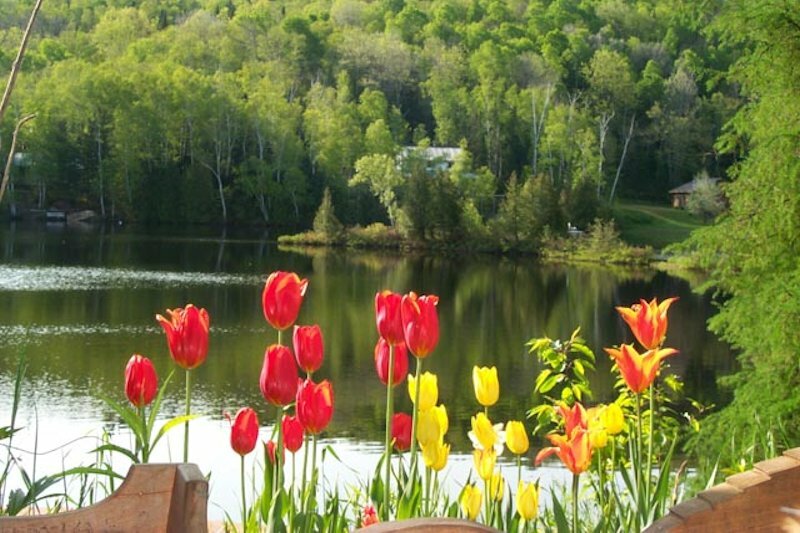 As you arrive you’ll think you are entering the provincial park, and in fact you pass through it on the winding road leading to the cottage. 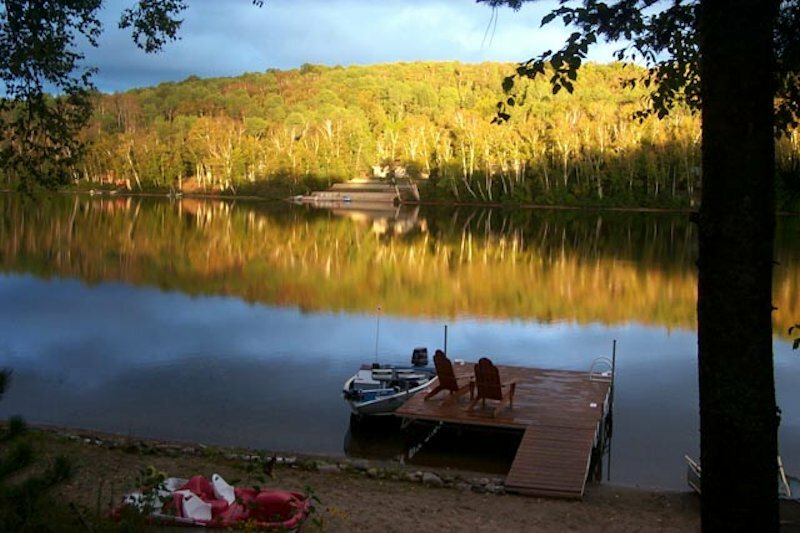 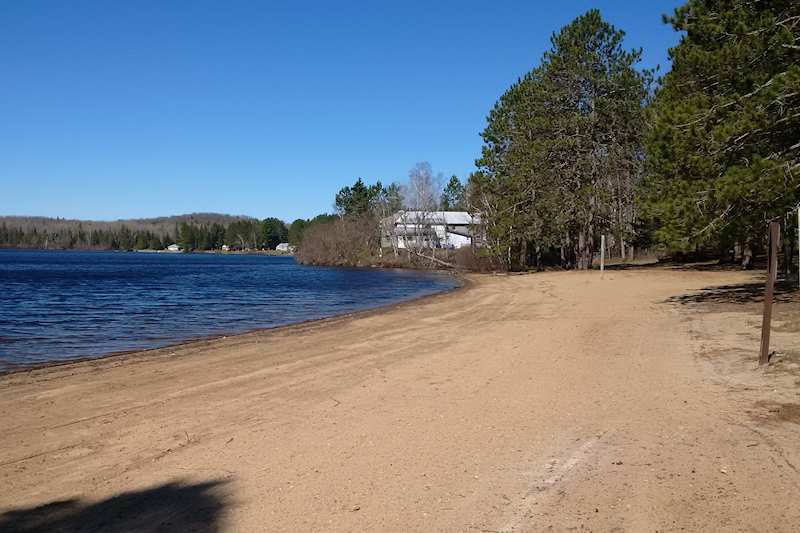 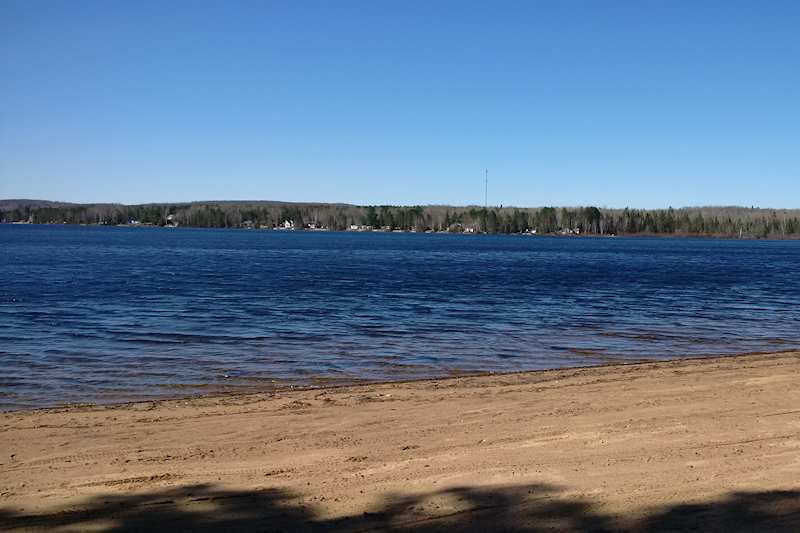 Watch out for the huge expanse of sandy beach to your right, as you’ll be able to canoe to that from the cottage! 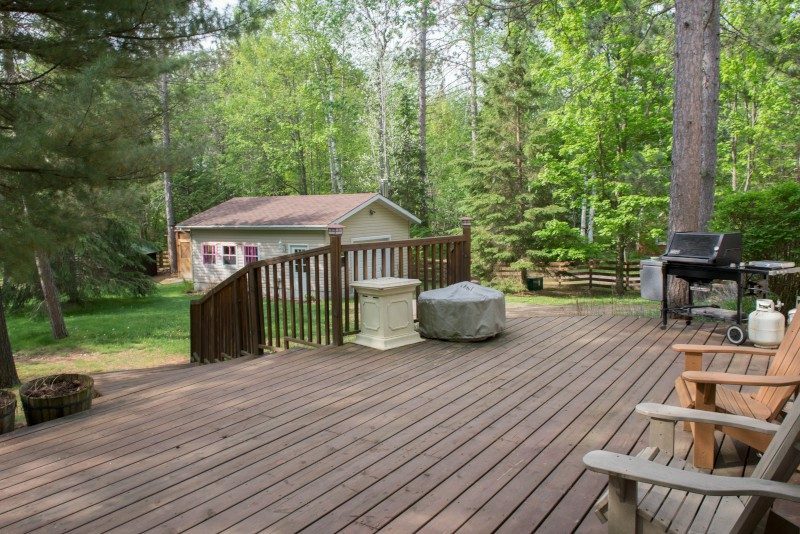 The cottage is near to the end of the road with only one property beyond so you won’t be impacted by traffic noise during your stay. 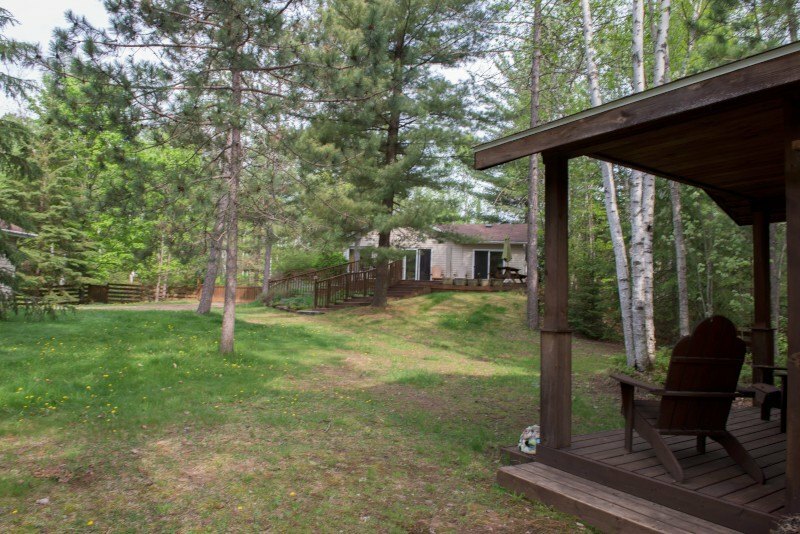 Check out the outside before venturing indoors and you’ll find a gate leading to the lawns, waterfront gazebo, guest cabin and dock. 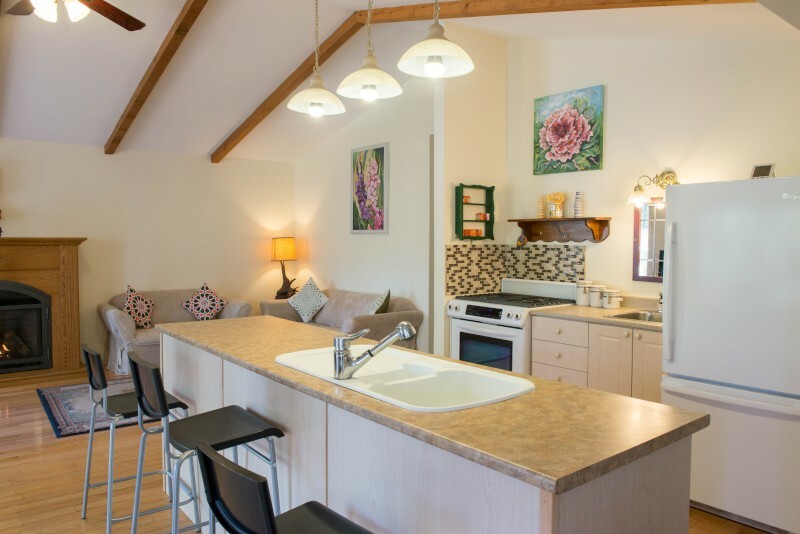 Take a peek at the little Bunkie and wait for the arguments to start as it’s a self-contained cottage with a tiny kitchen, washroom and bedroom – just perfect for a couple to hide away! 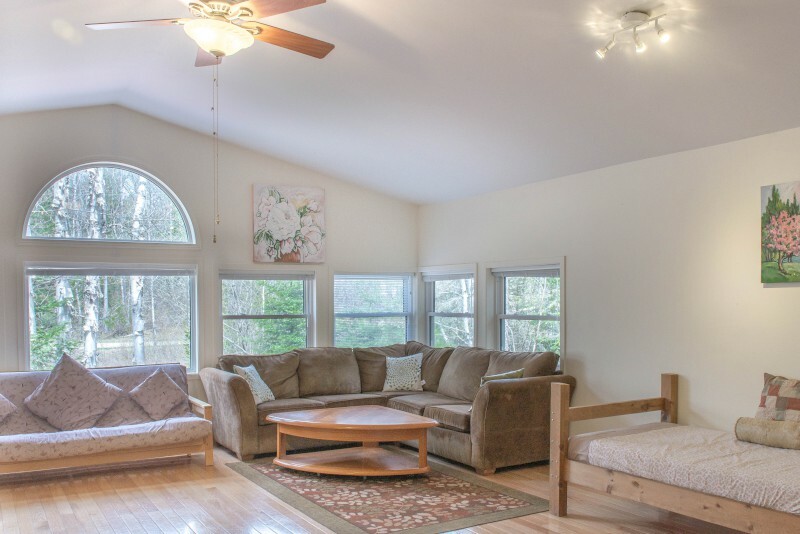 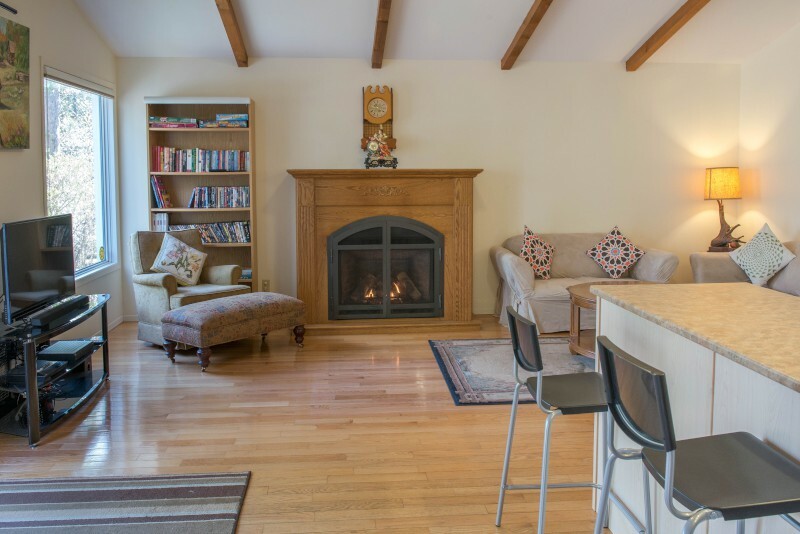 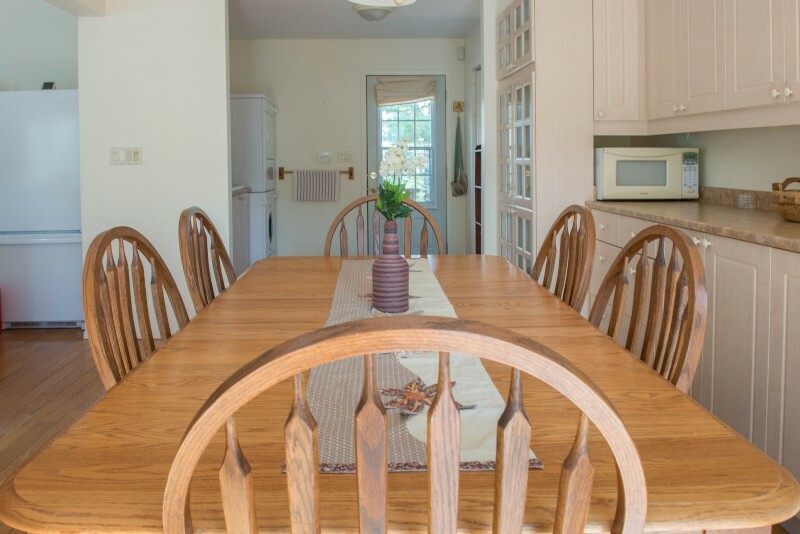 The spacious cottage has plenty of room for guests to all find their own space. 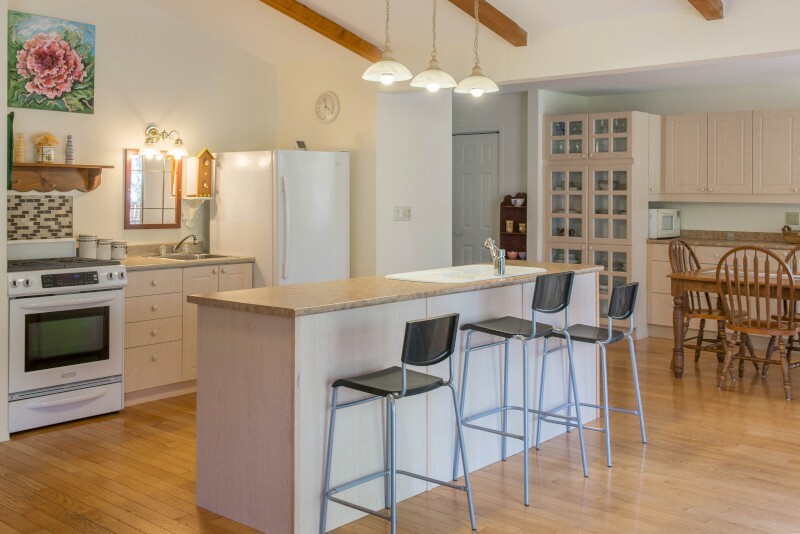 From the huge family room at one end, to the open plan living, kitchen and dining area at the other, and bedrooms in between, there’s a lot of space. 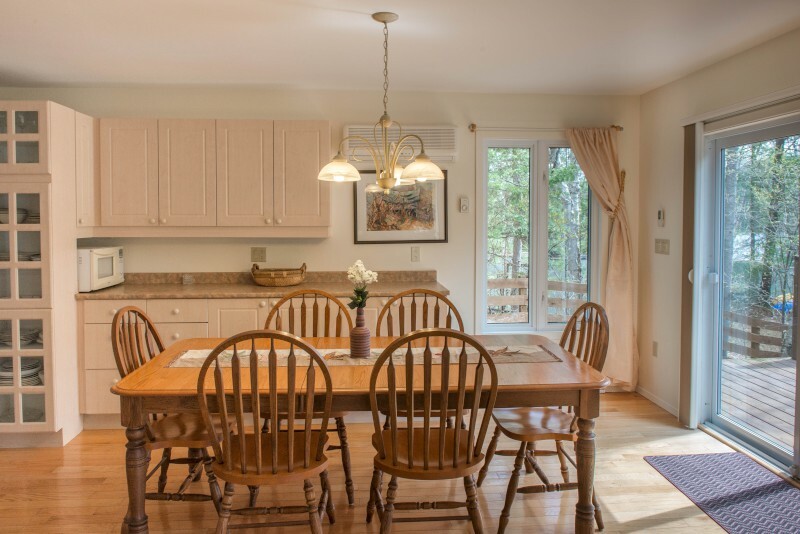 The kitchen is well-equipped for all your cooking creations and you can either eat in at the harvest dining table, or on the deck where you’ll find the BBQ and plenty of patio furniture. 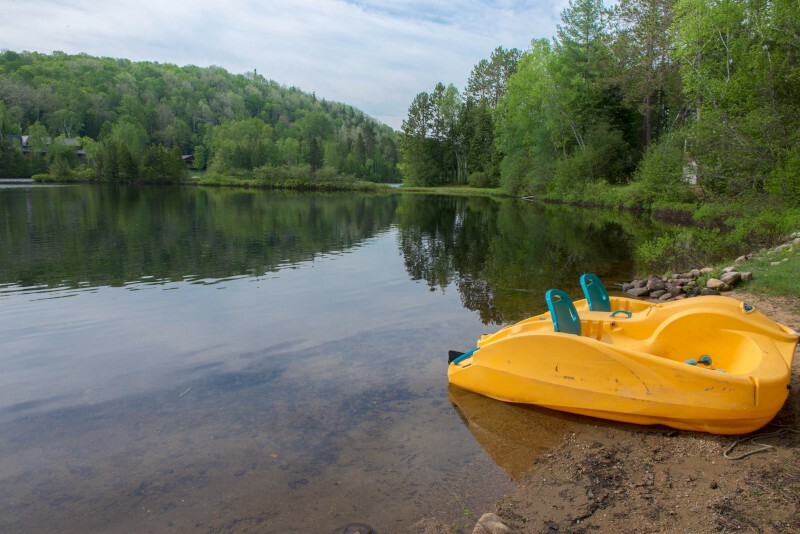 Then in the evenings there’s the choice of indoor entertainment with satellite TV, plenty of DVDs, and board games, or relax in the waterside screened gazebo or around the campfire. 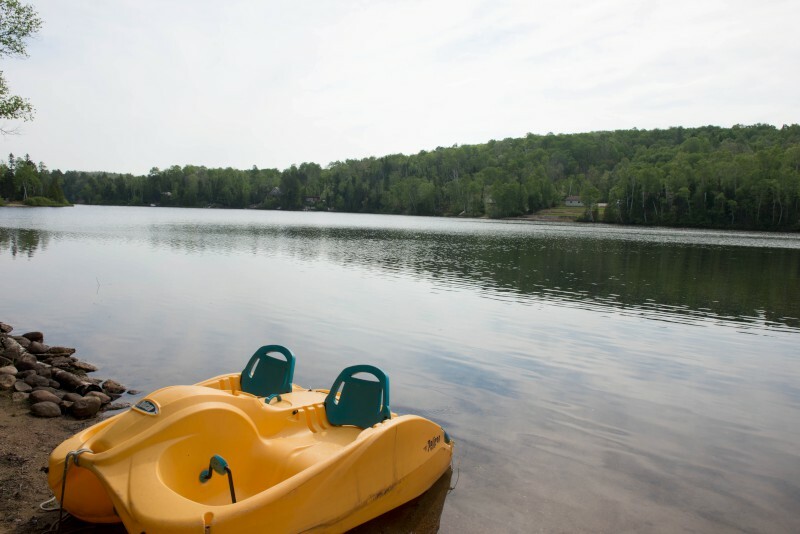 There’s a general store in nearby Lake St Peter and bigger food stores in Bancroft. 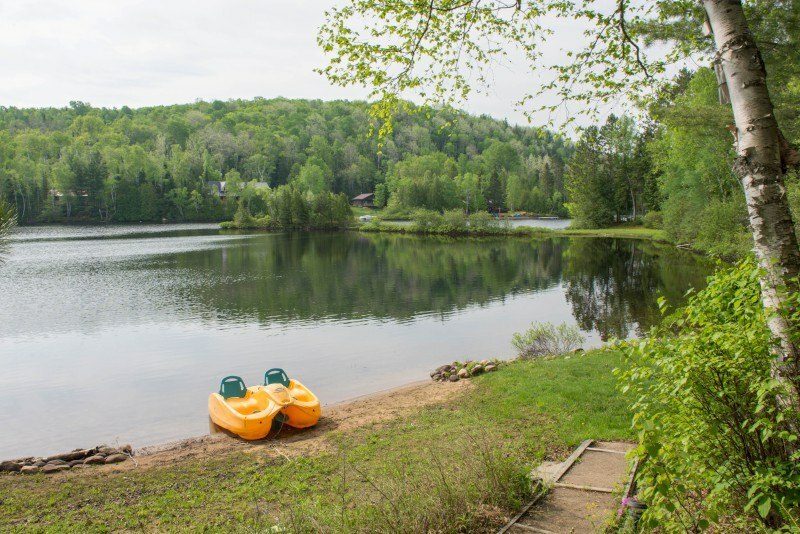 Make sure you stop at the Bird’s Creek vegetable stand on your way up for local fruits and veg…just north of Bancroft by Canadian Tire! 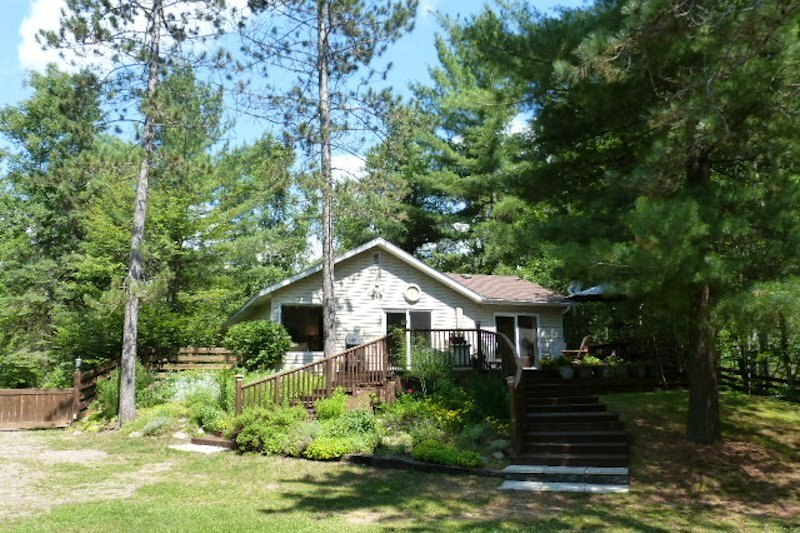 There is a short but steep slope from the lawn to the water with a cement walkway. 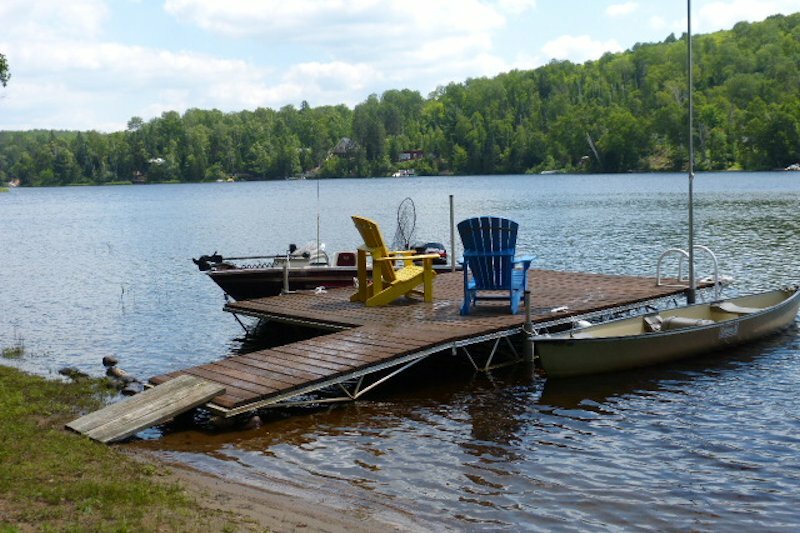 Once there the water is shallow with a gravelly/sandy bottom and it deepens gradually to about 4ft by the end of the dock.